BOULDER, Colo., August 16, 2018 – Award-winning sculptor Bernard Brenner’s seminal piece, “Father and Son” has recently been obtained by the Boulder Inn. Since 2005, the 8 foot high figurative, composed of verdigris patinated copper, has been exhibited across the Atlantic in Milan, Italy. On American soil for the first time in 13 years, it is now on public display across from the hotel lobby. Bernard Brenner is best known for his collaboration with James Fuhrman, creating large-scale public sculptures throughout Philadelphia. Fifteen years after his death, he continues to be a major influence on modern American sculptors. Brenner was born in Philadelphia in 1927. After serving in the Army Air Force during WWII, he graduated from Dakota Wesleyan. Shortly after graduation, Brenner began painting and sculpting full-time. Later he attended graduate school at Temple University, where he studied clinical psychology. Bernard worked for over 10 years as a clinical psychologist for the Devereaux Foundation, a school for children with mental disabilities. During this time he conducted studies on the use of art in therapy. He taught at both University of Pennsylvania and Drexel University. Bernard Brenner died in New Jersey in 2004. 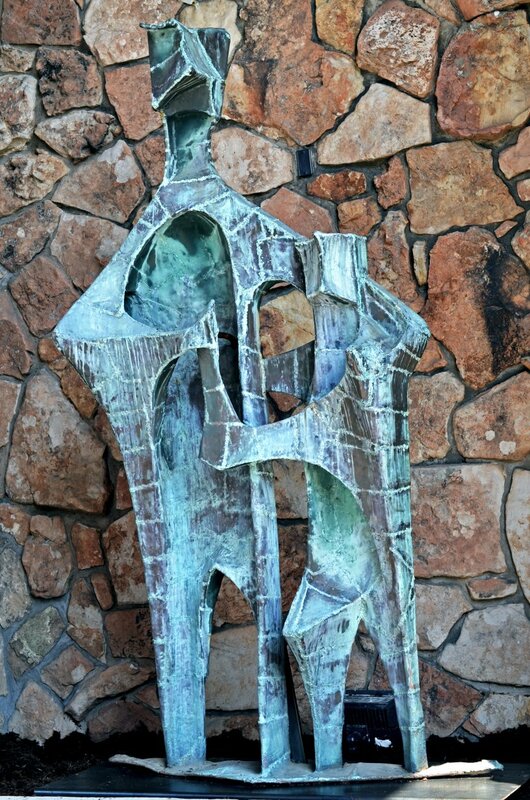 The bulk of Brenner’s sculptures were created from the 1950s to the 1990s. He completed more than two dozen public commissions, exhibited in over a hundred group shows and had more than 20 one-man shows. He exhibited at the Pennsylvania Academy of Fine Arts in 1954, 1960 and 1964. A permanent collection of some of Brenner’s work has been established at Worcester Polytechnic Institute in Worcester, Massachusetts.